This November, the first HistoryCamp in Colorado will be held in Denver. HistoryCamp is a day for history lovers of all types to get together and learn about a wide variety of subjects. Our session is called Medal of Honor: General Walker’s Disappearance on January 5, 1943. We will be discussing the January 5th B-17 mission to Rabaul and its place in the New Guinea campaign, as well as the possible fate of the B-17 SAN ANTONIO ROSE. Between sessions, there will also be an author’s table where you can pick up a copy of any (or all) of our books. For information on how you can attend HistoryCamp Colorado, visit their website. You don’t want to miss it! 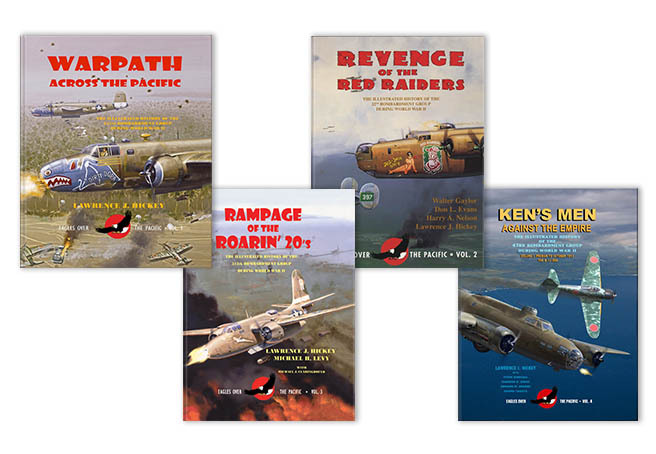 In an effort to bring you a more streamlined shopping experience, we have moved our ebook version of Rampage of the Roarin’ 20’s to Gumroad. If you’re looking to purchase the ebook, head over to our page there. As always, the hardcover version is available on our website. Come meet the president of IHRA! 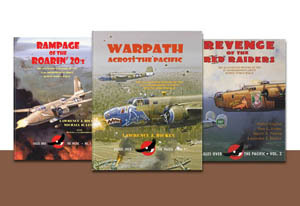 Author Lawrence J. Hickey will be doing a 15-minute presentation on Pappy Gunn and the conversion of the medium bomber into a low-level strafer as part of the Pearl Harbor Visitor Center’s After Dark in the Park series. This will be held in Theater 2 on September 6th at 6:30pm. Larry will be joined by several other experts, including two of our co-authors, Osamu Tagaya and Michael J. Claringbould, in the Pacific field for an exciting evening covering both Japanese and American aspects of World War II. You won’t want to miss it!